Searching For a Real Estate Agent in Charlotte, NC? The “Queen City” is truly a jewel of the southeast, a city whose skyline dazzles and whose lifestyle at street level below the Carolina blue sky is second to none. Home ownership in Charlotte is prized for so many reasons, and your real estate agent in Charlotte, NC will showcase your unique home within this dazzling array of benefits. As the largest city in North Carolina, and second largest in the entire southeast, Charlotte is a vibrant, fast-growing hub of business, commerce, culture, entertainment and affords its residents ready access to outstanding schools and universities, health care services, and shopping and dining choices that impress even the most savvy city dweller. The Charlotte Douglas International Airport is a busy hub of domestic and international travel. And in less than two hours drive, residents can find themselves in the glorious Blue Ridge Mountain region to the west or in just half an hour enjoy boating on beautiful Lake Norman to the north. While the city continually experiences tremendous growth, it retains the pleasing, even quaint features of many distinct neighborhoods and “areas,” each offering a different flavor of city life — something for everyone. Ample green spaces provide for outdoor enjoyment year-round. 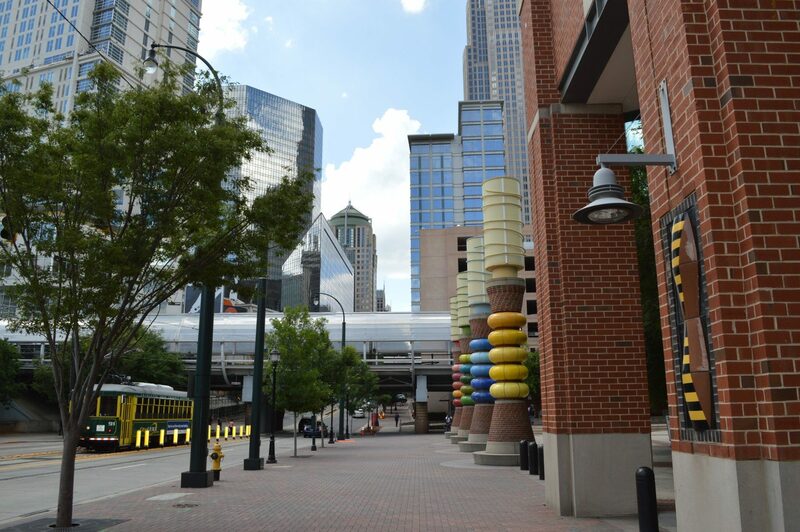 Its modern city center known as “Uptown” bustles with businesses, an active convention center, an incredible range of dining and shopping options, numerous cultural centers, as well as major venues for sports, music, and all the performing arts. Representing an abundance of employment opportunities, the metropolitan area is home to nine Fortune 500 companies, including Bank of America, and is the second largest banking center in the U.S. It is also home to 240 companies directly related to the energy sector A major center in the U.S. motorsports industry, Charlotte is home to several NASCAR offices, the NASCAR Hall of Fame, and the Charlotte Motor Speedway in neighboring Concord. Unique attractions like Carowinds and the U.S. National Whitewater Center are just a sampling of the Charlotte experience! Clearly, the “perks” of life in this city are too numerous to mention here, but because your Charlotte Home Experts realtor in Charlotte, NC lives that life, everyday, you are guaranteed the excellent marketing of your property that can only come from this first-hand knowledge! And what’s more, because of our specialized team of agents, we can dig deeper in terms of highlighting specific area features, like South Charlotte real estate — we take our marketing to that level of specificity, so that no relevant detail gets missed. Are you ready to buy or sell a Charlotte home? Call us at (704) 800-5501 or Click Here to Contact Us Today!